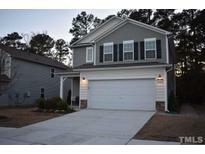 Southwyck - Perfectly located near Raleigh, Garner and Holly Springs! New Roof installed in 2015! MLS#2248709. 1647. Alston Ridge - More than just looks - all lights, all fans, several outlets, HVAC, and the garage door can be controlled remotely from anywhere in the world. Motion de MLS#2248789. 2531. Screened-in patio and grilling deck top off this corner homesite. MLS#2248563. 5180. Lakestone Village - Outdoor living begins on the shady front porch & continues on the screened porch, paver patio & inviting, fenced yard. Ref/W/D convey. MLS#2248618. 1618. Laundry Room! Culdesac Lot-gorgeous landscaping-POOL and tennis! MLS#2248404. 3911. Grays Creek - Flat fenced backyard. N'hood pool & playground. MLS#2248116. 5026. West Oaks - "North" side of Fuquay-Varina with county taxes only. This home is impeccable! MLS#2248268. 2098. Stamped concrete entry & patio. Community Pool. Truly move-in ready. MLS#2247503. 5202. Dexterfield - Great schools, & convenient to Raleigh or Fayetteville. USDA Eligible! MLS#2248187. 297. Space to add another bath, Large Laundry Room, Shed, 2 great porches. Come see it! MLS#2248189. 734. Bike or walk to Historic Fuquay Springs, shopping, coffee shops, breweries, bakery, Fuquay's Splash Pad, dog park, library, restaurants, parks, and more! New Roof 2019. MLS#2248113. 986. Only a 10 minute drive to downtown Fuquay with quaint shops & restaurants. MLS#2248037. 986. Calvins Place - The inviting Rocking Chair Front Porch, Fenced Yard, Shed and Firepit will greatly enhance your outdoor lifestyle! MLS#2248461. 2611. 2nd master on 2nd floor - all secondary bedrooms are spacious and have direct bath access - BEAUTIFUL!! ! MLS#2248089. 986. Phelps Farm - Home is a wonderful proximity to 540, Shopping. MLS#2248104. 4630. Village Of Sippihaw - Lots of storage throughout. Gutter Guards.. No HOA dues! MLS#2247879. 4623. Ting High Speed Fiber Is Coming! ! MLS#2248042. 3670.